An ex security guard has been arrested after staging a 20-hour protest at a Tesco Extra over his sacking. There have been chaotic scenes at the new IKEA store in Reading today. Some customers have told ITV News Meridian they were trapped in the car park for up to 3 hours - unable to drive out. Staff have been giving out water. IKEA say, "We can confirm that the car park at IKEA Reading closed for a short period this afternoon to allow customers to exit the store. We're working to keep traffic moving as quickly as possible." Five students have been fined after going to a university society party with blacked up faces and dressed as ethnic minority stereotypes. Red Kites are commuting to Reading from surrounding countryside in search of meat. The large bird of prey was once virtually extinct in the UK. They've been feasting on leftovers such as chicken - from residents trying to attract the birds. Signalling problems near Slough are still causing major disruption to services between Reading and London Paddington, that's according to the National Rail Enquiries website. A severely reduced service is in operation between Reading and London Paddington, and trains that are running will be delayed by up to 60 minutes. There is no firm estimate yet of how long disruption will last but it is likely to continue until the end of service today. Passengers are being advised to check with rail operators which services which will be running. Travellers between Reading and London are being warned they could face disruption until 4pm. This follows earlier problems with signals around Slough which caused delays of several hours for commuters this morning. Network Rail Engineers are carrying out tests on a mile-long section of cable that has had to be replaced, following a signalling problem in Slough. 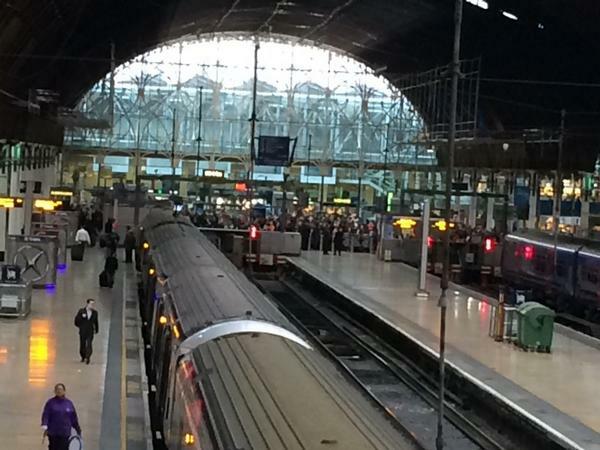 The incident has caused major delays for commuters travelling through Reading and Paddington. #Slough Engineers have replaced a mile worth of cable and are carry out a period of testing. Updates to follow. Apologies to those affected. 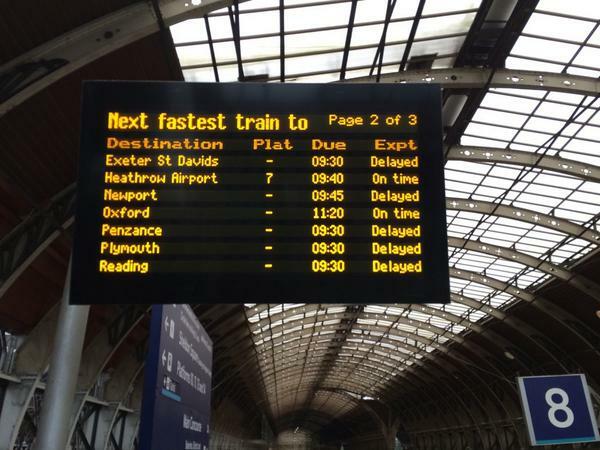 On its website, Network Rail said there was no firm estimate yet of how long disruption will last. Like National Rail Enquiries, it says commuters are likely to experience a disrupted service until noon at the very earliest. 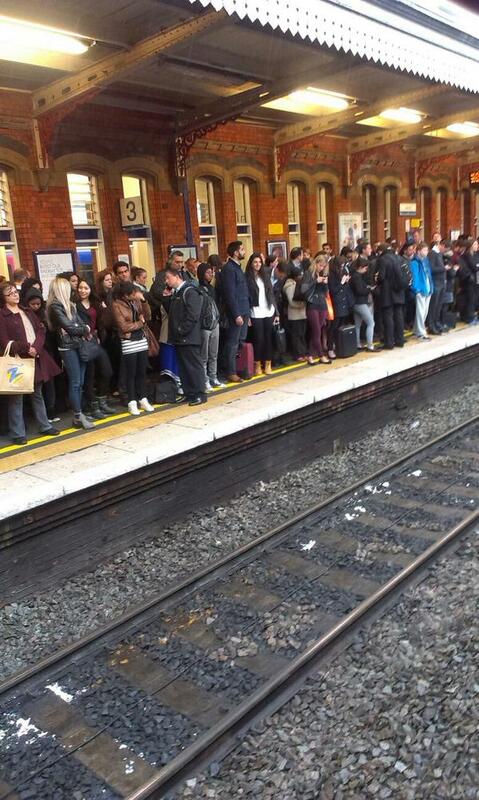 Signalling problems near Slough are causing major disruption to services between Reading and London Paddington. CrossCountry between Oxford and Reading and also Cheltenham and Birmingham New Street. London Midland between Worcester and Birmingham New Street. Virgin Trains between Birmingham New Street and Euston. First Berkshire Buses on Routes 1B/2 between Slough and Burnham; Routes 58/78 between Slough and Langley; Route 75 between Maidenhead, Burnham, Slough and Langley and Route 76 between Burnham, Slough and Langley. 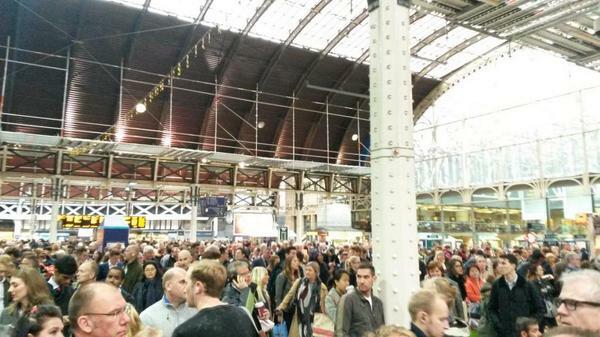 National Rail Enquiries has said it expects the disruption to continue at least until midday.